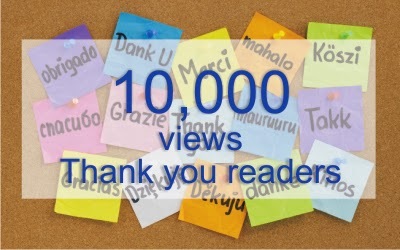 I am overwhelmed at the fact that my blog has crossed 10,000 views. Thank you my friends for taking the trouble to read what I write. I hope that you have found it a joy to read as much as I did writing it. Thank you. Please do share this blog page with your friends.